I didn't expect to post anything before next week, but again, my scan of today's news made that impossible! I'll start with some background info. first, and then give you the story that made the news yesterday right after that. Back in November, I posted a story about how patientprivacyrights.org started a new campaign to call attention to the fact that your prescription drug buying history -- including your name, address, date of birth and drug regimen is FOR SALE. Each day virtually all of the 51,000 pharmacies in the U.S. download, transmit and sell personally identifiable information for every drug they disburse. The primary recipients of that data include companies such as IMS Health of Norwalk, Conn., Wolters Kluwer Health of Conshohocken, Pa., and Verispan of Yardley, Pa., all of whom collect, analyze and sell medical data to drug companies, government agencies and researchers, often at very high prices. Some states have passed laws to prevent the distribution of information you never agreed to (or even waived your rights to) share. In particular, the states in northern New England have been especially aggressive in trying to limit this invasion of patient and physician privacy. According to the National Conference of State Legislatures, a number of other states were also considering similar proposals. But these state efforts have been repeatedly challenged in Federal courts on the grounds that the laws are NOT permitted according to Federal laws, therefore the state laws have been struck down by the courts. For example, in April 2007, Judge Paul Barbadoro of United States District Court in Concord, N.H. ruled that the pharmaceutical industry could continue to use computerized data showing which doctors are prescribing what drugs. This is used to sell drugs, not monitor the safety of those drugs. Yet the data aggregators are claiming these law will "prevent the health care community from monitoring the safety of new drugs". Certainly it is a clever argument, even if it is a misrepresentation (some would argue an outright lie) of what is really happening. New Hampshire was sued by two data mining corporations (IMS Health and Verispan). One of those corporations reported revenue of $1.75 billion in 2005, and not a dime was used to help a single sick person. If you need any evidence, just look at the Avandia controversy earlier this year and you'll have a more complete picture. But Judge Barbadoro struck down the New Hampshire law which prohibited the purchase and resale of the data for use by the drug makers. The judge said that the law violated the First Amendment by "restricting commercial speech". A similar case is also pending now in neighboring Vermont. The full story on the Federal court ruling in New Hampshire was documented in The New York Times, and can be read here. New Hampshire's eastern neighbor, Maine, tried a slightly different tact. The Maine law had been urged by doctors who objected to the sharing of their prescribing patterns, and instead of prohibiting the sale of prescription data, it was supposed to enable individual doctors to designate a prescription as "confidential" so it could not be shared or sold without the doctor's permission. Unfortunately, yesterday, U.S. District Judge John Woodcock concluded that the Maine law, which was scheduled to take effect Jan. 1, would prohibit "the transfer of truthful commercial information" and "violate the free speech guarantee of the First Amendment." In effect, he ruled that making doctors' prescription-writing habits confidential violated the U.S. Constitution. My own take is that free speech for commercial entities is apparently protected, while individual free speech is not. Judge Woodcock, in a 42-page decision, said that he relied heavily on the April 30 ruling by U.S. District Judge Paul Barbadoro in New Hampshire that shot down a similar law in that state. Of course, the New Hampshire law is still pending an appeal, and the primary sponsor of Maine's legislation, Democratic Rep. Sharon Treat, said that she was disappointed with the ruling, but also anticipates an appeal. Appeals by Maine and New Hampshire could be consolidated if judges at the 1st U.S. Circuit Court of Appeals find that they involved similar issues. For more details, I am including the full story details below, but there is something you can do about this, so be sure to continue to the end of the page! BANGOR, Maine - A federal judge has ruled that a new Maine law making doctors' prescription-writing habits confidential violates the Constitution. U.S. District Judge John Woodcock concluded that the law, which was scheduled to take effect Jan. 1, would prohibit "the transfer of truthful commercial information" and "violate the free speech guarantee of the First Amendment." The law had been challenged by IMS Health of Norwalk, Conn., Wolters Kluwer Health of Conshohocken, Pa., and Verispan of Yardley, Pa., which collect, analyze and sell medical data to pharmaceutical companies, government agencies and researchers. The companies said the law would prevent the health care community from monitoring the safety of new drugs. Backers of the measure say it is one of several new laws passed by Maine legislators that aim to address high health care and prescription drug costs. In a 42-page decision issued Friday, Woodcock said he relied heavily on an April 30 ruling by U.S. District Judge Paul Barbadoro in New Hampshire that shot down a similar law in that state. A similar case is also pending in Vermont. The primary sponsor of Maine's legislation, Democratic Rep. Sharon Treat, said she was disappointed with the ruling and anticipates an appeal. It seems very clear that the only way for this issue to be resolved effectively is not in statehouses across the country, but in U.S. Congress in Washington. Unfortunately, most plans (even those offered by Congressional Democrats) give only lip service to the linchpin of system reform: the restoration and preservation of patient privacy. This bedrock principle is hard to overlook, yet most of the competing plans on the presidential debate circuit are conspicuously silent as to how patients' privacy will be protected from exploitation. Dr. Deborah Peel, of the Coalition for Patient Privacy, asserts, "HMOs, the insurance industry, employers, marketing firms, the drug industry, banks and financial institutions, and the data aggregating industry all view health care 'reform' as a golden opportunity to strengthen and extend the authority HIPAA granted them to steal every American's sensitive health data. The primary use of electronic health records today is for sale or use by corporation for purposes that do nothing to improve health." 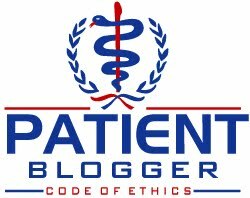 A great place to start is by visiting Coalition for Patient Privacy website here. Sign their petition and urge your Congressmen (and women) that you want control over who can see and use your medical records, including your prescription purchasing behavior. Its up to you! Re patient privacy, all of this commentary appears to (purposely?) miss the point that all of this information is de-identified - no individual patient ID is gathered or used in any fashion. While physicians (but apparently not that many given the relative few who have taken the opportunity to opt out)may have a quarrel with the usage of their Rx information, patient privacy appears a very slender reed upon which to base suit. Thanks for sharing this information with us. This is scary stuff! I went into the link & signed the petition. My medical information is my business. Thanks for making us aware of this.